Thursday night, Jersey Shore joined the ranks of reality television heavyweights, like E!’s “Keeping up with the Kardashians” and Bravo’s “Real Housewives,” as it pushed its firstborn spin-off on the air. 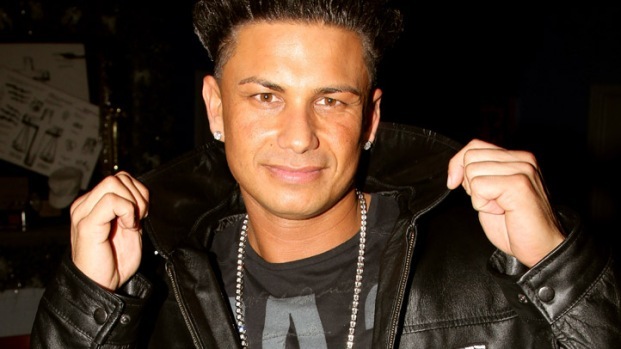 After an emotional goodbye to his father who is recovering from a stroke, he hits the road and heads west with a group of hometown buddies (a la “Entourage”), where he hopes to launch his career as DJ Pauly D.
Paul "DJ Pauly D" DelVecchio and Nicole "Snooki" Polizzi talk about their reported spin-offs from "Jersey Shore." He also has a thriving career as a DJ. The Hollywood Scoop reported in April 2011 he was making $40,000 a set, and Sallyann Salsano, the show’s executive producer, told Entertainment Weekly that he’ll be pulling in $50,000 a night at the Palms in Vegas, where he'll be spinning throughout the season. So much for rising tension. There will also be a tour with Britney Spears and a recording contract with 50 Cent, both already known to the public, but again, beside the point. The hype isn’t enormous, though some reviews indicate that it’s going to be better than "Jersey Shore," which has become a somewhat exhausting repetition of bickering and inaction. Breaking out of the Jersey routine could kick some fresh energy into the franchise, which has become more interesting off-air — with Snooki's pregnancy's and The Situation's rehab stint — than on. To evaluate whether you have the appetite for the show, try the trailer below.